Subject: Your position on an overhaul of the current PA curriculum applied in the US funded UNRWA schools.? I call your attention to the latest comprehensive report issued this week by the Center for Near East Policy Research which engaged the services of veteran journalist and scholar Dr. Arnon Groiss , who reviewed all 240 Palestinian Authority school books used in the UNRWA schools in Judea, Samaria, Jerusalem and Gaza . PA/UNRWA curriculum indoctrinates Palestinian children for war. Here is a 25-page summary of the PA curriculum used in UNRWA schools. The center director, David Bedein met with and was assured by Mr. 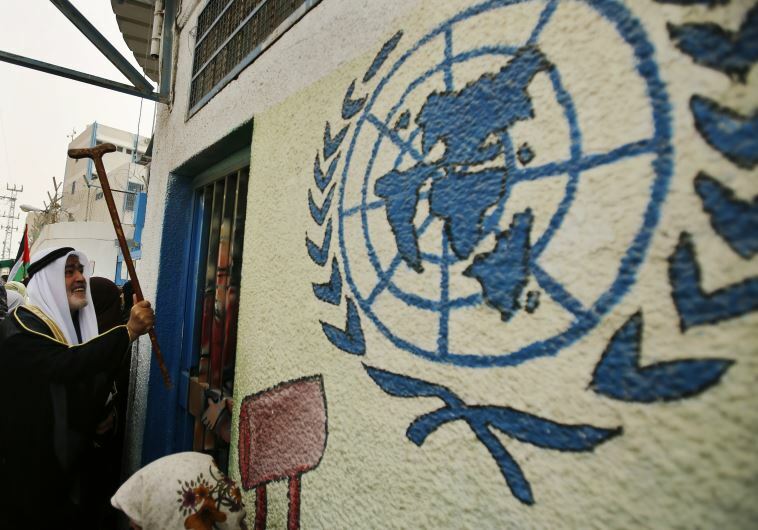 Guy Lawson from the of Bureau of Population, Refugees and Migration, which oversees aid to the PA and UNRWA, that current Palestinian school books had been carefully scrutinized and vetted for any inappropriate content that may hinder the peace process. However, US AID officials in Jerusalem assert that they they never examine the PA school books. Will your office ask that future PA/UNRWA aid be provided on the condition of an overhaul of the current PA curriculum applied in the UNRWA schools.